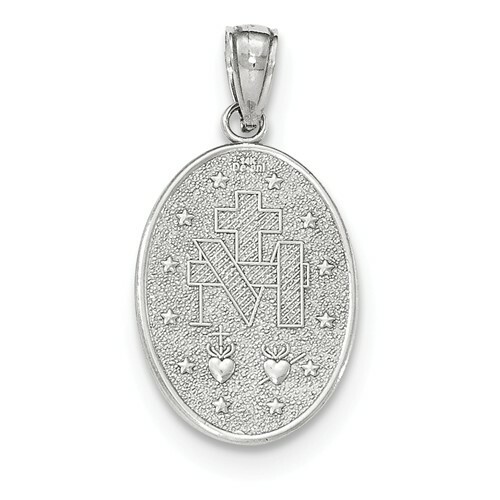 14kt white gold miraculous medal has a polished and satin finish. 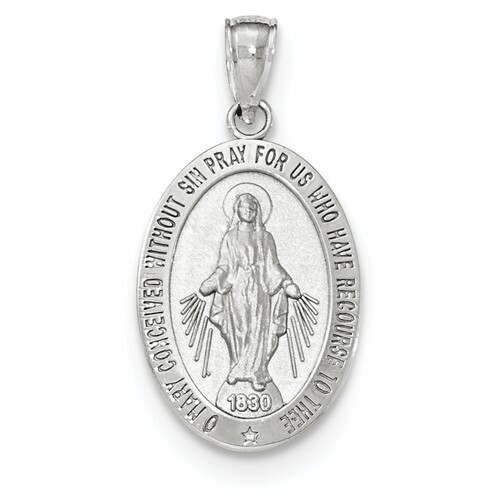 Die struck miraculous medal is 7/8 inches in height, about the size of a nickel. Inscription reads O MARY CONCEIVED WITHOUT SIN PRAY FOR US WHO HAVE RECOURSE TO THEE. Back of medal features an M, surmounted by a cross, with 2 hearts and 12 stars. Weighs 2.2 grams. Made in USA.